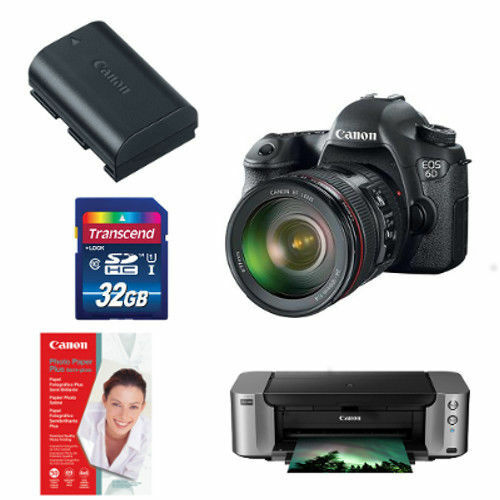 Canon USA authorized dealer PMI Digital (99.8% approval) has a hot deal on Canon EOS 6D with PRO-100 Printer,Canon SG-201 Paper,32GB SDHC,Extra Batt for only $1,149.00 after $350 mail-in rebates, w/ 24-105mm f/4L IS USM lens bundle for only $1,599.00. This is the lowest price and the regular price for Canon EOS 6D is $1,399.00 (List Price 1,699.00) at Amazon US. You can also check price at eBay US. This entry was posted in Canon Camera, Hot deals and tagged Canon camera deals, Canon EOS 6D deals/cheapest price on December 10, 2015 by admin.